Aaron Andersen is the Director for the Enterprise Systems and Services Division housed in the Computing and Information Systems Lab (CISL) of the National Center for Atmospheric Research. 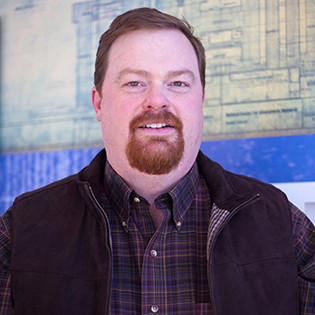 Aaron has over 25 years of experience and expertise in facilities for High Performance Computing (HPC). Aaron key responsibilities for NCAR include cybersecurity, networking, enterprise infrastructure and the computing facilities. He was the lead Project Engineer for the NCAR Wyoming Supercomputing Center (NWSC) design, construction and transition to operations from 2007-2011. The science questions of the atmospheric and related science communities continue to be a demanding driver of cyberinfrastructure. A high level summary of these science drivers coupled with a number of use cases highlight a few of the future directions the Computational and Information Systems Laboratory at the National Center for Atmospheric Research (NCAR) are focused on. It is an exciting time with lots of data, could ecosystems and changes in hardware architecture that promise to be disruptive but point to many new capabilities.